Were you looking for 7 Major Auto Makers Issue Recalls for Defective Airbags or Airbag or Honda, Toyota, Mazda Issue Massive North American Recall or Takata Corporation and Honda Motor Co Facing Defective Airbag Class Action Lawsuit lawsuits? In recent years, massive airbag recalls have been announced to address issues involving defective airbags. These recalls affect vehicles equipped with Takata airbags, which have reportedly been linked to 13 deaths and many injuries worldwide. Airbag failures have allegedly caused situations in which passenger vehicle occupants have either not survived relatively minor driving incidents or have suffered serious, permanent injuries. Lawsuits have been filed against the makers of certain automobiles and airbags, alleging the safety devices failed to work as promised. Send your Defective Airbag Injury claim to a lawyer who will review your claim at NO COST or obligation. Airbags are an integral part of car crashworthiness. The National Highway Traffic Safety Administration (NHTSA) reports that airbags save thousands of lives each year, yet airbags that fail to deploy, do not open in accidents, or sometimes open without cause are linked to serious injuries, some of them fatal. Because airbags are designed for an average-sized man, anyone who is not a similar size—including many women, children and elderly people—are at risk of serious injuries. A 2007 study (Craig Newgard, MD, of Oregon Health & Science University) found that for drivers taller than 6 foot 3 inches, air bags were associated with a 5 percent greater risk of serious injury and for drivers shorter than 4 foot 11 inches, air bags were associated with a 4 percent increase in the risk of serious injury. Side airbags are designed to protect occupants in side impact crashes such as at intersections or when a vehicle veers off the road and crashes side-on into an object such as a tree or pole. They also protect passengers in rollover crashes or when two vehicles have an adjacent angle crash. Curtain airbags are designed to protect the head for front-seat occupants (and back seat occupants in some vehicles) during a side crash. When deployed, curtain airbags form a cushion between the occupant's head and the window and they may protect in a rollover. 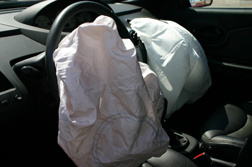 The airbags deploy in a low-impact crash and cause death or injury. The third category is the most common and constitutes most airbag liability lawsuits. The airbag was either incorrectly installed, the manufacturer neglected to include proper safety instructions, or the airbag was defective. If the airbag is defective in design or manufacture, a claim can be made under strict liability laws where the injured plaintiff does not need to prove negligence. In 2004 more than 1.4 million recalls were related to airbag safety problems, up from about 350,000 recalls the previous year. Many of these airbag recalls were due to wiring problems that could result in the air bags being deployed for no reason. Honda issued a recall in 2008 because its airbags opened with so much force that metal parts of the airbag assembly could blast through the airbag, injuring a passenger in contact with the airbag. In May 2011 the Honda airbag recall expanded to 833,000 vehicles that may have been equipped with a faulty airbag. Meanwhile Hyundai issued a recall for 2007-2009 Elantra sedans for an airbag system sensor that could cause the airbags to open incorrectly, increasing the risk of injury to smaller passengers (i.e., women, children and the elderly) in the event of an accident. After receiving several complaints of the airbags opening without proper cause in the 2002 and 2003 Jeep Liberty models, the NHTSA opened an investigation that affects almost 400,000 vehicles. Ford Motor Company recalled around 1.2 million 2005 and 2006 Ford F150 pickups trucks for the same reason, although the problem was found to be a wiring issue inside the steering wheel. In August 2011, Chrysler posted a recall of almost 300,000 Chrysler Town & Country and Dodge Caravan minivans over a similar problem. In vehicles with side airbags, it is dangerous for occupants to lean against the windows, doors, and pillars, or to place objects between themselves and the side of the vehicle. For instance, if you are sideswiped and your side curtain airbag fails to deploy, you could suffer a serious concussion and even brain injury. Say you are driving in a storm and your vehicle is blown off the road; your side curtain airbags inflate and cause excessive force to children riding in the backseats. Or your front passenger side airbag suddenly deploys without warning. A lawsuit was filed against Ford Motor Co. when a child was injured (August, 2008) after a Ford Expedition's airbags suddenly deployed when the vehicle was not in use. The complaint stated that, "uch unnecessary and unexpected deployment of the airbag caused serious injuries and damages." The plaintiff claims the Expedition is defective and unsafe due to the unnecessary and unexpected deployment of the airbag while the vehicle was not in use. 2014-2018: Multiple recalls of cars containing Takata airbags are announced, involving millions of vehicles. The recalls are linked to 10 US deaths and 100 injuries, in which vehicles with Takata airbags were involved in a relatively minor accident but the airbag exploded, sending shrapnel into the vehicle's cabin. Repairs to the millions of vehicles recalled are expected to take until 2018. February 2014: General Motors announces a recall of vehicles linked to airbag failures. Research suggests 303 people died in vehicles after their airbags failed to deploy when the vehicle's ignition was unintentionally shut off while the vehicle was driven. More than 1.6 million cars worldwide were recalled. September 2011: 10,631 Kia Sorento SUVs built between June 15th, 2006 and November 27th, 2007 are recalled due to a faulty airbag issue where the passenger-side air bag may be turned off even when an adult is occupying the seat. June 10, 2011: More than 47,000 2011 Cadillac SRX cross-over vehicles are recalled due to passenger-side side airbags that “might not deploy during a collision”. December 2010: Chrysler Group recalls 65,000 Dodge Journey 2009 SUVs because side air bags might not deploy. Feb 2010: Honda Motor Co. adds more than 378,000 cars to an existing safety recall for air bag inflation problems. Honda will replace the driver's side air bag inflator on the cars because they can deploy with too much pressure, causing the inflator casing to rupture and injure or kill the driver. Honda says it is aware of 12 incidents linked to the problem, with 11 injuries and one death. If an airbag fails and causes injury, a claim based on strict liability law, negligence and contract law can feasibly be made against the manufacturer of the air bag, the car and others. However, airbag lawsuits can be complicated and typically require expert testimony that the injury would not have occurred but for a defective airbag. An experienced attorney can help with expert witness testimonies, determine whether the airbag is defective, analyze automotive data and more. Takata Reaches Settlement Deal with Injured D..
Takata Air Bag Recall Expands - 3.3M More Veh.. I was involved in a very serious accident in a mustang convertible. The airbags did not deploy, I broke my neck, back and large laceration to the top of my head along with other cuts and bruises. I have rods and screws in my neck. At the time I was 20 years old. I continue to have pain in my neck and back. Airbags should have definitely deployed. Car was brought in for the recall and they gave me the car back saying it was repaired. After the accident I went in and said I wanted to sell the car was just making sure the air bag issue was fixed. They said "nope, we didn't have the parts, you have to bring it back." I was NEVER TOLD THAT, I was told my car was done. Who knows if when they were inspected if they were put back correctly. Had a very serious accident and they didn't deploy. I should be compensated! On December 8, 2010, I was driving my 2004 Dodge Viper on a ramp to the Interstate at around 35 mph. I hit nothing. My airbag deployed on it's own rendering me unconscious and my car flipped over, causing catastrophic injuries to me, such as a broken neck etc. I was also struck with shrapnel. I haven't slept in a bed for near 7 years, but in a chair. I'm now 68 and still suffering. Been through 2 Attorneys with no help. I NEED AN ATTORNEY, but can't seem to get one . REALLY ?? I own a 2006 Toyota Sienna Limited that I bought new & at 60,000 was hit in the rear & pushed into car in front, July 2015. All air-bags failed to deploy. The accident is recorded on video tape. I suffered a brain concussion, cognitive impairment, neck, back and spinal cord injuries. Please advise of a law firm that will file a product liability suit. I was pulling into my driveway and slid on some ice, my car slid into the front of the house causing some damage. The front and side airbags deployed but did not inflate with some of the framework causing some injuries.....our car is a 2010 Ford Focus SE. i flipped and rolled my truck on the freeway doing 65 mph. i have a incurable brain illness and had brain surgery august 9th 2016 so when the airbag didnt deploy on my 99 chevy s-10 i broke the windshield with my head and my eyes bruised from the impact to the side of my head. i got a back strain and was back in the hospital a few days later with extream side pain that they did nothing about and told me i was wasting there time. when i was seen at the hospital they released me within 2 hours and didnt do anything for me.. my truck was compleatly totalled and impound took it. they said i shouldnt have walked away from that accident especially with no air bags. This is my 3rd or 4th time posting this on this site. During snowy weather , I hit a metal pole. I broke my sternum, back problems. My airbag bag never deployed and my seatbelt didn't retract. I had a 2013 kia sorento. I still believe to this day, that both the seatbelt and the airbag were faulty. I hit the pole hard enough for my airbag to deploy, because it didn't, I broke my sternum. I posted about my accident when it happened. Before the accident I had to take my kia sorento in because the airbag light stayed on.I also reported it to NTSB. I got a head injury from a air bag deploying the wrong way. The corner of the plastic that lets the airbag out turned sideways and hit my head at my eyebrow causing me to lose enough blood to cause the main nerve to be damaged. That was with the ford tracer 1997 model and that was 18 years ago and I still have no feeling on the right side of my head and just found out in the past few years that there was a lawsuits against ford for the airbag. Does anyone know if I would qualify for a case against ford? on a 2013 Kia sportage Hit a pothole caused the top and seat airbags to deplore. Kia warranty would not cover. how could this be possible. car was not wrecked. Today, June 21st my front airbag deployed for no reason while driving in Denver,colorado. Injuring my left hand and bruising my left eyeball. My head hurts more and more as hours are passing. Its a 2007 dodge nitro. Aparantley there was a recall in 2013 but we got the car last year and we had no idea about the issue. Car is not drivable bc the originally issue that caused the airbags to deploy also damaged all other kinds of things.sorry I dont really understNd cars. I was just reading about it online. Do we get them to fix it ? Money for what its worth? How does this work? My stepdaughters Chevy Cruz skidded off the road after a heavy storm and hit the left rear of a parked pickup truck then spun out and traveled down the side of a cliff and stopped when the car hit a tree. the car was damaged beyond repair and not one single airbag deployed she has a 2013 Cruz. After some research I see there have been many accidents with this model where this has happened. My daughter was in a car accident and the airbag deployed after her head hit the dashboard. It deployed with so much force that it broke 7 bones in her right arm, wrist, and hand. It also dislocated three bones in the same arm, and caused permanent nerve damage. She will be disabled for life and left with an ugly shriveled claw hand. Bits of metal from the air bag left scratches on her arm and a deep gouge in her leg. She's 20 years old. The vehicle's airbags are part of the recall but were having a hard time finding an attorney who wants to put the effort into pursuing the case. The first attorney said he didn't have the capital to pursue it and another one who supposedly handled these sort of cases said it didn't fit within his guidelines but didn't tell us what those guidelines are. My 2002 Toyota Tacoma sr5 4x4 extended cab truck was roof crushed in. We have photos showing the damage and that the airbags never deployed. There were personal injuries, cuts scraps, road rash and bruseing. Lucky for them nothing life threating. Some mental hysteria for the 12 year old due to the crash flipping, rolling and all the broken glass. You would expect the safety equipment on the vehicle to be in proper order and that it would work to save lives. Is there anything we can do to get on the class action suit? I had an accident September 2016. I was driving a Nissan Versa 2007. My side airbag deployed , but the steering wheel one didn't. I had 7 broke ribs and a broke back. I am pretty sure I wouldn't have broken ribs if the air bag deployed. Is there anything that can be done? I totaled my 2003 chevrolet Silverado in a one car accident. Fell asleep driving and ran right into the guard rail at 60-65mph. The airbag did not deploy so my face went straight to the steering wheel causing lacerations between my eyes, stitches in my chin and a concussion.This was in January 2017. To Virginia who posted her comment on July 27, 2016: Could you please identify the specific vehicle you are referring to re: airbags failing to deploy? Thanks in advance. On 02/17/2015 I was involved in an MVA on the North end of the Mackinac Bridge. I managed to get through the toll booths without killing or hurting anyone. However after the accident came to an end I looked up and heard a hissing sound only to notice some smoke could Ming out of what looked like a wafer than ZOOM- KA-BOOM ! What I though was a guided misile was actually an airbag canister headed straight for my face. I turned my head ASAP to the right and that's when all hell broke loose ! The canister slammed into the side of my with a force so strong that I have a lifetime imprint as it stopped it also changed its trajectory and then was pointed downward when all of a sudden BOOM ????! POINT BLANK on the back side of my head ! I can't believe that I'm still alive and able to talk about it ? It also left me with a crater on the backside of my head the size of the canister. Plus I received B.I.N. Brain Induced Neurotrauma otherwise known as a T.B.I. As the canister wrapped around my neck it went down the inside of my winter coat dispersing all the chemicals on my head and back leaving me one GROSS case of AirBag Dermatitis and chemical burns on my back too ! Please excuse me people but WTF ? I too need help and know one is willing to help ? My insurance company is no help either ? So it's time to take it to the next level ! My good friend Charlie LeDuff has said he's willing to help me and others like us. F?Y.I. Charlie is the host of "The American's with Charlie LeDuff" and also part of the Detroit media and he's excellent at what he does, uncovering cover-ups ! This is one silent recall that should not have been ! I need help serious help however that seems to be impossible ! Well I'm not a quitter and when all is said and done ? General Motors will wish they had settled up with me ! My insurance company too ? They will end up getting their money back anyway so why the BS ? I'll be checking back daily to check for comments. By the way I had a 1997 GMC 1500 Sierra Extended-Cab. Anyone interested in watching Charlie you can view his show on Google or rather YouTube. I was injured in 5/24/2014 when my 2006 Lincoln Navigator right front wheel caught in an unrepaired potthill in rural Salem, OR The anti roll feature failed causing my to flip over on passenger sid sending me down a 200 ft slope. The Glen Creel Fire Dept EMY was heard to describe that I was "lucky to be alive" as all AIRBAGS failed to deploy. I wonde, all the time if anyone has reported airbag failure on 2006 Navigators. My ins company, Liberty Mutual breeched its promise to me and my litigators I retained with Pulaski and Middleman who after making an appt with Liberty to provide the "totaled" vehicle for inspection. Pulaskis investigator with in an arranged appt to inspect the wrecked vehicle BUT when they arrived at the appointed day/time they were told "somebody drove the vehicle off the security lot (remember Liberty had conned me into belief the vehicle was totaled. Obviously Liberty lied to me as they did to Pulaski. as the mysterious disappearance of my Navigator took place only 2 days earlier. Liberty was aware I had retained Pulaski to litigate Ford for possible product liability and allowing my litigiators access for inspection was mandatory as prima facie evidence of airbag failure. Pulaski had no choice but to withdraw from my case for "lack of any evidence" Its now 2016. Libertys claim mgr "Ken" tapdanced on my damaged brain (2 subdural hematomas) all this time claiming that "Ken" could not explain the disappearance of my vehicle that Liberty had decalred was "totaled" until 12/23/14 when "Ken called me at my brothers home in North Carolina to advise me "good newes, I found your car but the bad neews is it had been totally restored and no value as evidence any more. Over the next yr and a half I offered to mitigate with Liberty (for breech of oral contract and tortious interference of my action against Ford) I gave up until this past month when I tracked down the Mass Dept of Insurance )Libertys home state city is Boston, MA. I emailed then and lo and behold I rec'd a phone call from a Dept analyst who patiently listened to my tale of woe and how some 10 times per day I see Liberty ads touting its customer loyalty and integrity. I know this to be dangerous false advertising. She seemed to be sympathetic and proised to investigate. I told her I contacted the Oregan Dept of Ins and that they said "we don't police such matters as you d escribed" and wewith that the Oregon Dept of Ins assisted Liberty Mutual by protecting then for possible prosecution. I left Oregon 11/14 as my brother insisted I come to him in NC to look afer me as I continued recouping. I am sure I may have ongoing vertigo and balance issues which commenced with the accident. Oh, yes, Liberty now carrys my accident as "at fault" when in fact I was never at fault per Polk County, OR Sheriff Dept. So is anyone has any simikar unexplained accidents with Fords 2006 Navigators and/or similare breech of contracts with Liberty PLEASE e mail me I am 77, disabled vet and don't have a loy of years before me. Coming home from work I swerved to avoid hitting a dog and ended up hitting a tree upon impact the only air bags that deployed were the small skirt feet air bags. The impact was Major and my seat belt fully extended saving me from being ejected from the car but allowing my head to go 1 1/2 inch into the windshield and thrusting my chest into the steering wheel. I contacted Chrysler/Dodge about this and they claimed to have perform an investigation and sent me a letter 2 months after the accident claiming that after their investigation they concluded all safety systems performed as they were intended to do. That statement is NOT TRUE!! I was the victim in the car and witnessed that the main air bags did NOT deploy until a period of time after the accident. Is there anything I can do at this point? The accident occurred in May 2016,The car was completely totaled and however I am very lucky to have survived. I know for a fact the frontal air bags did not deploy when they should have. 2006 Toyota Corolla CE white. Toyota gladstone repaired safety recall for passanger airbag. Totalled car 3 weeks later, drivers airbag safely deployed but passenger side failed, What do I do????? I was involved in a car accident in which the front of my 2006 Scion TC hit another vehicle from behind. The impact was major and the car was totaled. I badly sprained my ankle and shoulder and some left hand injury. MY AIRBAGS DID NOT DEPLOY. I looked up my vehicle and sure enough it had airbags as a safety feature. I searched online and there were hundreds of other complaints for the same make and model for the same complaint - No airbag deploying. Is there anything I can do? I am signing over the title to my insurance company Erie due to the total loss. can you help me? my sons jeep liberty 2003 accident was rolled over 4 times off freeway. airbag recall issue. jaws of life used to get him out and revived him. airlifted to trauma ctr with broken and fractured neck, coalapst lung and traumatic head trauma. one month in icu and months of recovery. how can i get jeep to compensate him for his pain and suffering????? I has in a front end collision where my airbag did not deploy. My 2000 Chevy silverado was totaled. I had chest impact injuries and a week later was hospitalized with a bowel obstruction possibly caused by seat belt injury. The accident was 2014. I WANT ANSWER'S!!! PLEASE HELP ME UNDERSTAND why "1st GENERATION AIRBAGS" have no financial accountability for those that sustained serious, debilitating injuries? I'm a 5ft 3 inches, 118 lb female, that was a passenger of a 1996 Toyota 4-Runner involved in a 35mph front-end accident with an airbag deployment in 1999. I was sitting properly with my seatbelt on and the seat adjusted as far back as it would go. After the "Bomb" went off and I finally stopped gasping for air, I looked down at my lap, only to see the end of my right wrist with a bone sticking out and my hand completely turned, resting against my forearm. I was told the only reason the surgeons choose not to amputate was luckily the hospital was 5 minutes away and I had a 4 month old baby at home. I woke up after a 4 1/2 emergency surgery advising that my hand had been salvaged, but it was a "wait and see if the surgery would take & I may still have it amputated!" 3 more surgeries & a year of "wait and see", I'm fortunate to have my hand! I've had 2 additionally surgeries & will continue to have more in the future. I received NO compensation for an ongoing, lifetime of pain, suffering & financial hardship that will never end. I have yet to get a solid answer? Hi i was wondering if i had any chance going against toyata for neglegience, due to the fact that the airbag on my steering wheel in my 2001 toyota limited 4x4 trd 4 door did not deploy i fractured my nose and bruised my ribs and i got part of my scalp peeled and my shoulder was popped out . the incident was a roll over. My 11yr old and I were in a car accident on 1/27/16 and my car was totaled..i was rear ended and it pushed me into a car infront of me.. Every thing inside the car fell off and none of the air bags came out...my daughter and i have miner injuries...can i sue the manufacturing company due to air bags no deploying..even the radio came out...help please. I have a 2015 GMC Terrain. I rear-ended someone while alone in my vehicle and all 6 airbags deployed. I had no passenger with me and that airbag deployed. There was no side impact, yet all four side impact airbags deployed. My car may be totaled solely on the fact that 5 airbags deployed when they shouldn't have. I had a multiple car accident Saturday and my car is going to be total as per adjuster. The airbags didn't deploy. The damages in car are severe even the radiator broke on impact and lost all its antifreeze. Luckily I didn't sustain any injuries but while driving my 06 accord the driver airbag deployed for no reason. I had dashcam video and it recorded the sounds. it was a double pop of the bag. This happened Sunday morning. It was very scary and the road was dark. Per the dashcam video, the speed was below the limit and there was no accident. MALFUNCTION. I let the NHTSA know and tried to reach out to Honda America. I also contacted my insurance company who reached out to the dealership. The dealership took my car and said a Honda engineer has to look at it. I followed all the recall notices and took my car in twice to the dealership. Now I am wondering what is going to happen next. How can I sell a car that is damaged? I need a new car. How long will this process take to possible fix the airbag? My son died in January 2012 from an accident where the airbags did not deploy in his 2001 Elantra, he was ejected. I believe had the airbags deployed he would be here today. I also know that his vehicle was taken in and serviced on an airbag recall prior to his accident. I was rear-ended (actually 4 times by same van) in our 2005 Ford Focus. The first impact was at approximately 45 mph, and each consecutive impact at a lessor speed (am guessing the driver stepped on the gas, instead of the brakes). In our situation, the air bags did not deploy, nor either of the front seatbelts engage, and also both front seats twisted inward. Luckily - no major injuries (but we are receiving medical care). Have been told that the seatbelts should have engaged, as well as the airbags should have deployed. Any help? Where to go to get answers/help????? To Arun post July 19th, file complaint with NSHTA.gov. I am sorry of your loss. I also was in a minor accident, air bags deployed, no shrapnel but deployed at excessive force, multiple injuries requiring surgeries, neck, back, loss of use both arms now. My car was also not on the recall list, odd since all other NSHTA complaints with Takata air bags were in the range of my VIN# and manufactured at the same plant. Being told it is another issue with excessive force deployment. Please try to track down the erupted air bag now before it is too late to find. 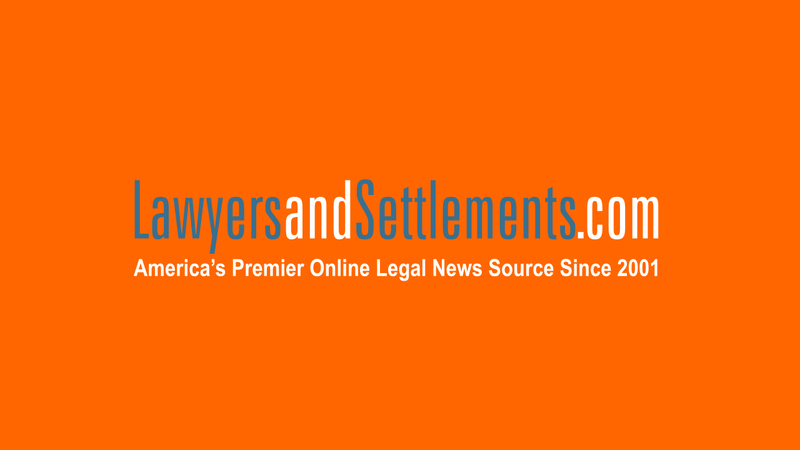 There is a "black box" data recorder that could help you an your family in a compensation case. in. My Air Bag did not deploy . HI I was in a car accident on 11/5/l4 I was Defected By my airbag on my wrist. I have been looking for a lawyer for the Longest My car was taking By co-parts and they sold it in February I do have pictures of the car after the accident I do have pictures of my Wrist after the accident. I also have been going to my orthopedic therapy from January Tell now, still is going just found out in August That the airbag Burnt me and hit a spot that cause it to put a Cyis in my wrist. The cyis was on top of my Vain and nerve + under my vain and nerve so I have to have surgery on my right wrist it put my in a life or death Situation Now if I try to move it, it can pop cause I just had my surgery on September 25 2015 it will take 6 weeks to hell. They say if I move it now it will pop and kill me. I can not even cook for myself, wash myself This got life hard for me cause I'm right handed. I'm trying to get a personal injury Attorney specialist in South Carolina. Can someone please help me? I had A Nissan Altima 2006. Please help me thank u.
I was driving 25 mph when a car stopped suddenly in front of me and I tapped the bumper, and my airbag exploded. Luckily I have both hands 10 and two on the steering wheel, so the metal from the airbag hit me in my wrist. However, I was bleeding so bad it look like someone had been shot in my car. The airbag blew out my windshield, and the whole car was covered with a white steam. My grandson was in the backseat and was shaken-up. He was screaming "are you alright grandma". The ambulance drivers were across the street having lunch, so they came over and stopped the bleeding. I could have been hit by the metal from the airbag in another part of my body and died. The ammonia smell that came out of the airbag was horrible. That was an awful day...I will never forget it. In Dec 2009 all of the airbags (side & front) deployed in my 1999 VW Bora whilst driving alone at 50mph. Broken neck, broken rib and fractured hand resulted. I was instantly rendered unconscious and remember nothing of the subsequent collision with an oncoming car a few seconds later. All damage to my vehicle was at the rear sides. The front half of the car was untouched. I was unable to prove what happened in court and was disqualified from driving for two years despite lifetime clean licence (never even a parking ticket!) convicted of driving without due care and attention. Yes this stuff really happens and I have not driven since. If I ever own a car again the first thing I will do is disable the airbag system. I was driving my 2003 Dodge Neon with a passenger in front. While traveling 40 mph was hit by 2006 Ford Taurus going 35 mph and accelerating. Front and drivers left side impact. My airbag did not deploy and seatbelt did not engage. Passenger seatbelt did engage. I was forced to the dashboard between the door and the steering wheel. Did not hit head. Did not loose consciousness. Previous to accident had multiple preexisting herniated discs. This accident caused more damage and ruptured a disc necessitating surgery with a poor outcome. I am totally crippled and disabled now. My passenger sustained numerous bruises. Neon totaled. Taurus repaired. I was 100% not at fault. hello my name is Nicholas Parker I was in a serious car accident on January 1,2014. I have an 2013 Chevrolet Malibu it was supposed to be the safest car that year and during the accident NONE of the airbags deployed I was driving at an constant speed and was hit. it was an head to head collision. im currently in the army soon had to deploy to Afghanistan later on that week ,so I was forced to place my car in storage. I refused to take any action to fix my vehicle due to the fact some one told me I would definitely have an lawsuit on my hands. I can provide pictures of the vehicle ASAP. I had my underarm ripped open from airbag when t-boned in a car accident in Bradenton FL. I have permanent scarring. The bag exploded causing mild chemical burns to my face and ripped my arm upon the airbag deploying in my Mercury Grand Marquis. 2005 Nissan Murano, we were T-boned by an '04 Nissan Maxima that blew a red light. NO airbag deployment in my car - the door and footbox caved in - damage to the entire left side of my vehicle. I have fortunately only minor injuries to my shoulder, elbow, neck, and head, from impacting the door/roof. The other car had full front and side bag deployment - WHY NOT MINE? I contacted Toyota regarding my airbags in my ’07 Scion TC and they are refusing to help. The light came on, and when I brought it to Toyota to get it checked, they want me to pay $149 just to hook up the computer to my car. They also said that the airbags could go off at any time or that they may not work in an accident. This has made me afraid to put anyone in my car and I am also scared for my life to even drive it. If they do go off while I am driving, I could be responsible for hurting someone or even killing someone. What can I do? Air bags deployed with extreme force, low speed accident where no injuries would have been sustained, but because of air bag deploying, it caused a torn ligament and carpel tunnel in right arm/wrist. The front end of the car was totally damaged and no airbags were deployed; also the mirror was knocked off from the impact. My hand and wrist were severely damage by the airbag. I had emergency surgery. I now have a pin in my hand and screws in my wrist. My index finger was so severely dislocated it had to be surgically put back in place. We were in a head-on collision but we drove to the hospital for treatment in the car. My son and his friend died on Oct. 9, 2009 in an accident in a 2001 Honda Civic. The airbags deployed but were useless do to projectiles hitting my son in the passenger seat. His friend was driving. I am looking for an independent suit against Honda and Tanaka airbags. A guardrail went through the car as well. I don't believe they hit the end cap for a possible claim against trinity guardrails. WAS JUST IN AN ACCIDENT WHERE THE AIRBAG DID NOT DEPLOY. HIT BLACK ICE, RAN INTO A DITCH AND HIT A CULVERT HEAD-ON. LUCKILY, I WAS ALONE. My wife was in an accident today. She is 27 weeks pregnant. She suffered a head injury, a knee injury and has trouble now with the pregnancy. The airbags never deployed. She hit the steering wheel with her head. We have a 2006 Ford Expedition. I was involved in a low-impact fender bender on 9/5/14. My BMW suffered a penny-sized dent. Initially, I thought the steering wheel had hit me and the car was on fire from all the white "smoke." Airbag had exploded. Although Chest CT with contrast is negative, I still suffer from costochondritis. My left hand had a "1" laceration. In October 2012, I suffered a traumatic brain injury from an airbag not being deployed in my 2000 Mitsubishi Galant. I passed out while driving due to high blood sugar and my car went under an 18-wheel tractor trailor. I have been left with permanent brain damage and nerve damage, which affects my entire left side. I have difficulty with my memory. I cannot work due my disability. The brain swelling was extremely severe and would have been decreased had the airbag deployed and my head not forcefully hit the front of my car. On October 4, 2009, my son was in a fatal accident in which the airbags malfunctioned in his 2002 Honda Civic. He was a passenger and owned the car. The driver was his friend; he passed away as well. I know the airbags malfunctioned. The driver’s hands are molded into the steering wheel. If an airbag worked without being punctured or just plain did not inflate, the driver’s hands would have been pried from the steering wheel. I have some unfortunate pictures of the complete wreck. I purchased a new 2004 Honda Accord (4cl) in Tallahassee, FL. At the time I was living in Orlando, FL. Four months after buying the car, I was in an accident. Another car pulled out in front of me and I ran into the side of their car; it was deemed their fault. My airbag inflated and cut my face open, between my eye and nose. On the day of the accident, I went to an optometrist because my eye was burning and I couldn't see well. The doctor said a fragment from the airbag cut my retina. He also said the cut on my face, near my eye, was unusually deep and referred me to a plastic surgeon to have my cut sewed together so that the scarring would be less noticeable. Neither doctor that I saw could explain how I could have such a deep cut on my face from an airbag. Crash hitting the front left side of wall and airbags did not deploy on the highway as I was doing about 60 mph! Injuries include 3 skull fractures, tbi, coma, partial amputation of my ear that had to be sewed back on and hundreds of stitches. Airbag failed in 2004 Jeep Grand Cherokee, resulting in brain and spinal damage. Injured in a car accident Oct. 8, 2013. Airbag in Chevy Tahoe didn't deploy. Sustained a spinal injury. Involved in collision recently. Rear-ended a truck in white-out conditions – high impact, rollover. Truck and my Toyota FJ were totaled. Why did the airbags not deploy? Whiplash and cuts sustained. No other injuries, except for my dog. I was driving when all of a sudden my airbag deployed and caused my accident. I don't remember after it deployed, but I remember it clearlydeploying bbeforehand. I ended up possibly rolling car and broke electrical pole. I just suffer pain everywhere but no scratches. A couple bruises. I was knocked out for awhile though. I was in a serious auto accident in Oct. 2007. The airbag in my 2006 Solstice didn't deploy. I suffered a vertebral artery dissection and couldn't talk. I was in the neuro intensive care unit for almost 2 weeks. I suffered 3 or 4 tia's from it. They told my family to think about planning my funeral. Now, they have finally recalled the car. My daughter had an accident on April 22 this year, in which her car hit a sign, another fixed object, then flipped multiple times. Her car was a 2001 Pontiac Bonneville SSE. At no time did any of the airbags deploy. As a result she suffered bilateral pneumothoraces, multiple rib fractures, right pulmonary contusion, plueral effusion, bilateral thoracostomy tube placement and a left clavicle fracture, the later of which required emergency surgery this week placing a rod and 7 screws to the left clavicle. I believe that the airbags, at least one, should have deployed due to the violent nature of the accident. Airbags didn't deploy and caused injury to me. I have major whiplash, my knee hit dash, and I even hit my head. My passenger hit windshield and caused him to get multiple stitches, almost broke his arm. 2011 Kia Sorento airbags did not deploy in total loss accident.I suffered a broken collar bone, and broken sterum.I also hit my head on the windshield. My wife and her mother was recently involved in a 18 wheeler head on collision where the air bags did not deploy. I contacted Toyota about the problem with pictures of the 2012 Toyota Venza will less than 2k miles and they told me there was not enough damage. I am ready to sue on this issue. The state police who investigated the accident told me he had seen 100's of accidents and that the air bags most certainly should have deployed. broken arm - concusion with head injuries (laserations). Torn hip labrum - both rotator cuffs needing surgery. Airbag deployed after second collision impact to hood area of car, but not at T-bone impact. See above. Eye glass nose pad went into center of eye. Caused immediate white blindness. Took 8 doctors to figure out what was causing 4moons, couldn't read or watch TV or work, reflectors on ground at night were a foot tall, etc. surgery 7/2011 in Utah, a year of recovery. sprained neck, contussion to hip, shoulder, son broke his nose and concussion tothe head. no severe injuries just bruising at the time. but my whole damn car practically fell apart, safety restraints ripped out while driving 3mph.